Marijuana is a plant that has the power to alter a user’s mind and body. It can be ingested in many forms, or smoked to achieve the effects. Most people already know that marijuana can make you feel good, however, many are unaware that there are other positive benefits of this amazing green gift called cannabis. Let’s share some interesting facts about this plant that are totally worth knowing. Cannabis, or marijuana as it is also called, is legal in Canada for medical purposes only. It was first legally prohibited in the country in 1923. Later medical cannabis was regulated and became legal in 2001. Therefore, anyone who is caught possessing or selling weed for personal or recreational purposes is committing an illegal act. In Canada, there are “dispensaries” and “compassion clubs” that sell cannabis. These storefronts are illegal because they are not licensed by the Federal government. There are also illegal weed growers and they supply products that may be unsafe to children, as they are not tested and regulated by the government. Until the growing, sale and consumption of cannabis is legalized, there will always be risks to public safety and health. The legalization of cannabis in Canada was a campaign promise of Justin Trudeau during the Canadian federal elections in 2015, in response to the opinion shared by most people. When he became Prime Minister, this sentiment became stronger. Due to this, the Federal House of Commons, in November, 2017, proposed for legislation the Cannabis Act, Bill C-45 legalizing cannabis for recreational consumption. It also passed the Senate second reading in March, 2018. The Bill will be finally voted upon in June, 2018. Once the Senate approves the Cannabis Act, it will be enacted into law and become effective in the summer of this year 2018. The legalization of cannabis through Cannabis Act will protect the youth from being lured into the use of marijuana as it will restrict their access to the weed. A person should be 18 years old or older before he or she is given access to the drug. Those who will be caught importing, exporting and supplying the youth with cannabis will face serious criminal penalties. Strict requirements for the safety and quality of cannabis products will also be a part of the Bill C-45 or Cannabis Act, thus protecting the health of the general public. Cannabis, once legalized, will become the instrument to reduce the illegal activities, because the production, sale and consumption of the weed will be in accordance with the Federal law. Under the new Act, when approved, the present law for accessing cannabis for medicinal use will continue. If you are of legal age and a resident of Canada and the Cannabis Act comes into effect, you would be legally allowed to do the following. * make products with cannabis, such as beverages and foods, at home, as long as you do not use organic solvents. * grow cannabis plants for personal use. 4 plants are allowed per residence. * purchase cannabis, either fresh or dried, and also cannabis oil from licensed retailers, or online. * share your cannabis with other adults. 30 grams is allowed. * have in possession up to 30 grams of dried cannabis, or its equivalent in fresh form. Remember, until the proposed Cannabis Act, Bill C-45, becomes effective, marijuana in Canada would remain illegal. The only exception would be the medical cannabis as approved by Health Canada. # 1. Marijuana has about 200 slang names. You can call it pot, weed, tree, herb, grass, hash, Mary Jane, ganja, old man, reefer, oil, tar, and so many more. It is called cannabis when rolled up into a joint and smoked as a cigarette. # 2. Medical studies have proven that marijuana can prevent various types of cancer. These are the cancer types that develop, grow, and spread very quickly. The weed causes the cancer cells to stop growing. Besides cancer prevention, cannabis can also treat some physical and mental disorders, including chronic pain, depression, and traumatic stress disorders. # 3. Believe it or not, the very first item that was sold and bought online was a bag of marijuana. Sellers and buyers conducted their business through the Arapnet, which was an early form of internet. # 4. It is nearly impossible to die from weed overdose (OD). There is no record of death from the use of cannabis. Someone would need to finish about 800 joints in just one sitting, or smoke 1,500 pounds of marijuana to suffer an OD. Also, take note, only 9% of millions of marijuana users become dependent to the weed clinically. # 5. One disappointing fact for cannabis smokers is that the weed is not eco-friendly. When you grow a pound of pot indoors, it releases 4,600 pounds of CO2 in the atmosphere. The electricity it absorbs is equal in amount to 29 refrigerators. On top of this, a single joint would require energy with emission that is the same as when you burn a 100-watt light bulb continuously for 25 hours. # 6. It shouldn’t be surprising to know that our clothing and items such as bags and backpacks are made from the marijuana plant. The reason is because marijuana leaves are very soft as compared to cotton leaves and are twice as durable. Take notice of the clothes that you are wearing now; it could be made from the leaves of marijuana. # 7. Smoking marijuana has an advantage over traditional cigarettes. When you smoke cigarette heavily, you are increasing the risk of lung cancer, which is not the case with smoking weed. When it comes to addiction, coffee is more addictive than marijuana. So don’t you think it’s time to make a switch? # 8. Smoking cannabis should not prevent you from donating blood. Blood centers do not test for THC, but even then, make sure that at the time of donation you are not under the influence. THC (tetrahydrocannabinol) is the principal component of marijuana. This is responsible for the psychological or mind altering effects of smoking weed. # 9. The United States authorities have been arresting around 750,000 people for various marijuana offenses annually, although not everyone serves jail time. Also, a few of those arrested were charged for possession only. #10. Cannabis smokers who do it heavily are also at risk for respiratory ailments such as bronchitis, the same diseases that cigarette smokers develop. #11. Marijuana used to be legal. Well known personalities such as George Washington and Thomas Jefferson had plantations that grew this plant. Some colonials were even authorized by the British Crown to grow the weed. #12. From year 2015, marijuana is the industry that was growing very quickly in the United States. If all the 50 states make it a legal business, it can surpass the organic food market of the country. #13. In most states in US, marijuana is illegal. However about 100 million Americans have ventured to smoke it at least once; and 25 million or more have used it previously. #14. Test after tests done on marijuana showed that alcohol and tobacco are more harmful to the human health than cannabis. #15. Making the use of marijuana permissible by law would bring about $8.7 billion in annual taxes revenue (federal and state). #16. In Alaska, personal use of marijuana has been allowed since 1975. It is still allowed. Likewise, in North Korea, it is not even considered a drug, so it is also legal in the country. #17. The first state in the US that officially prohibited the use of marijuana was California, about a century ago. #18. The first country in the world to legalize the growing, selling and using marijuana was Uruguay. #19. In 1976, in Hollywood, a state law was passed decriminalizing marijuana; after which a prankster changed the sign from Hollywood to Holyweed by use of curtains. #20. The Netherlands has dozens of public places that allow people to bring in recreational drugs including ecstasy, cocaine, and marijuana. When a person smokes marijuana or inhales it through a vaporizer, THC (tetrahydrocannabinol) and the other components in the plant pass to the lungs and throughout the body to the brain. The effect of this is experienced almost immediately. However, when he or she consumes it in food or beverages, the effect may take a bit longer, perhaps from 30 minutes to 2 hours. The reason is because the food that contains marijuana must first be broken down in the stomach before entering the bloodstream. Regardless of how the drug gets into your system, and how quickly they are absorbed by the body, there are effects to be experienced. Your body organs, your immune system, and your nervous system will encounter some changes when you smoke pot. Sometimes, the weed can increase bleeding, affect blood sugar level, and lower blood pressure. Regular pot smokers can also suffer from chest colds, lung infections, and other lung-related issues. However, it is not known yet if marijuana can cause lung cancer. These experiences may pass about in 3 or more hours after using the drug. Although marijuana is used in some countries as a medical product, there are also risks associated with this drug. For example, using it can be addictive; and about 10 per cent of smokers/users of weed become dependent on it. Some people even think that cannabis is a habit-forming drug that may lead smokers to look for and try more addictive drugs like heroin and cocaine. Medical experts are worried that the THC content of marijuana leaves (which has gone up from 1-4% to 7%) will make it easier for a smoker to get addicted or become dependent on cannabis. The increase in THC will also strengthen the drug’s mind altering results. Smoking marijuana is not recommended to people with health conditions such as diabetes, low blood pressure, and liver disease, as it may cause complications and more health problems. For men, be aware that when you use marijuana heavily, you are lowering your testosterone hormone levels and the quality and count of your sperm. That, in turn can destroy your fertility and sexual drive. Remember though, that occasional use will not do you any harm. 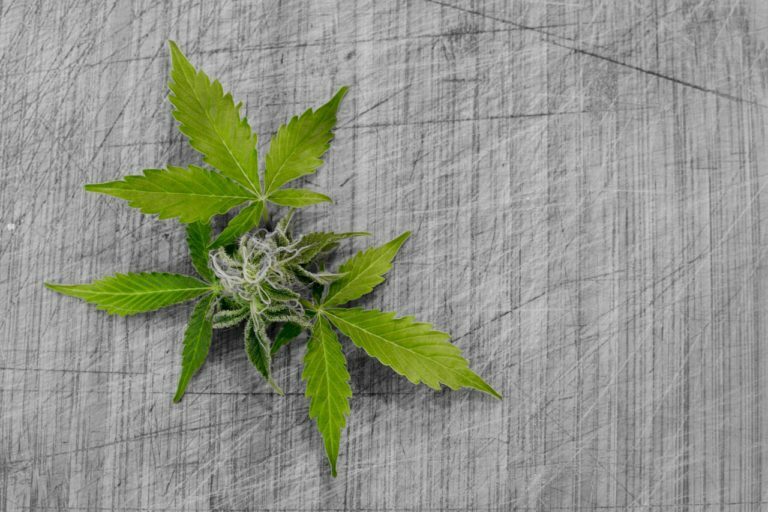 Although there are some possible negative effects from consuming marijuana, there are many , as we see them, positive effects when using Cannabis.